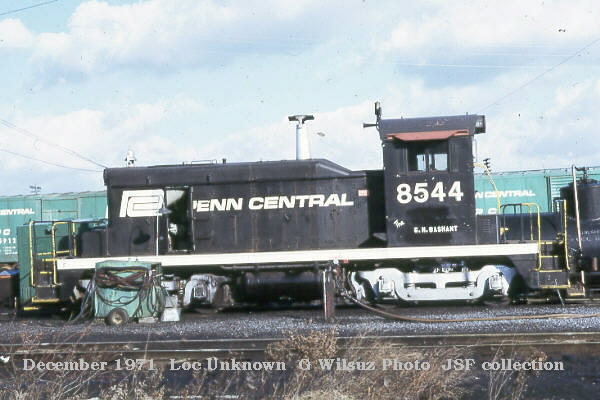 The SW1 was a 660 horsepower switcher, easily recognized by its distinctive sandbox below the front radiator. 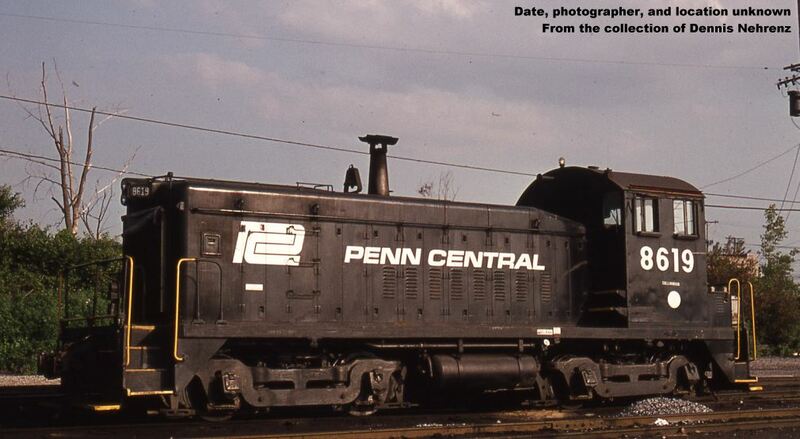 PRR and NYC originally purchased these diminutive engines, with ex-Central units numbered in the 8400's, while ex-Pennsy units were in the 8500's. 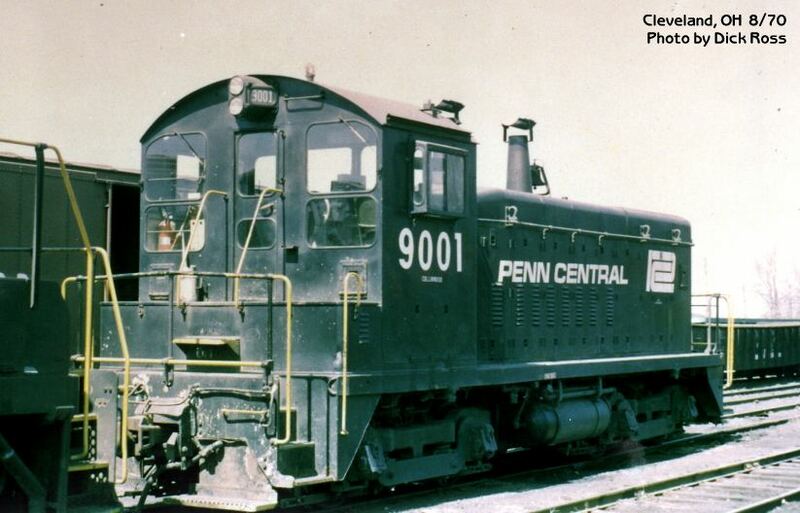 New York Central was the only PC predecessor to purchase the SW8, an 800 horsepower switcher. 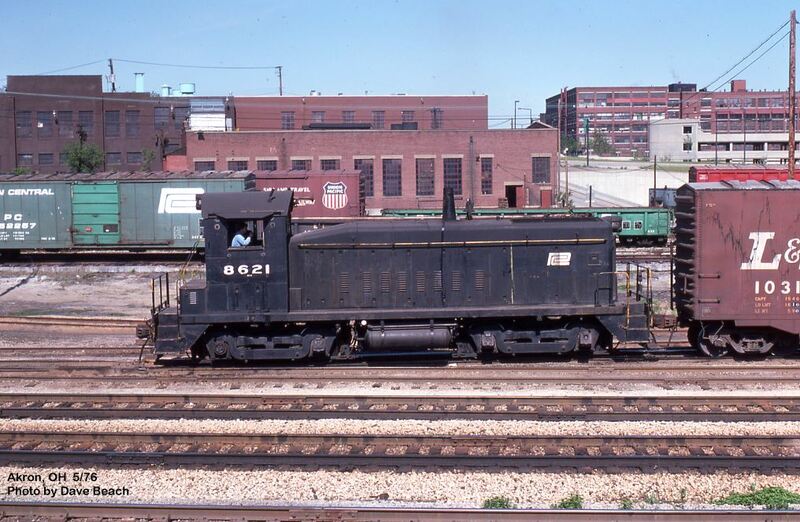 They were numbered 8600-8627, with the exception of the Despatch Shops switcher. 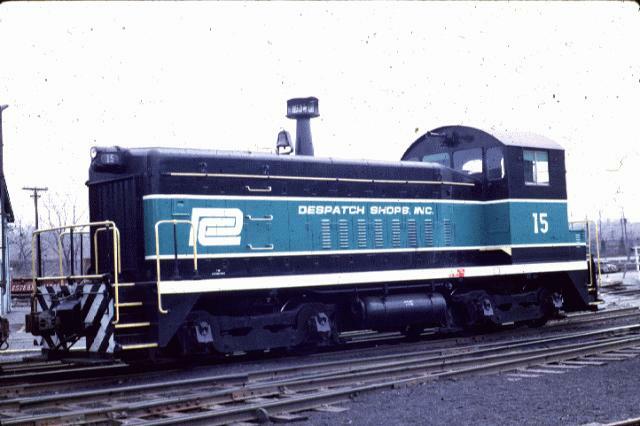 DSI #15 was the shop switcher at Merchant Despatch Shops, a former NYC subsidiary company, in Rochester, NY. 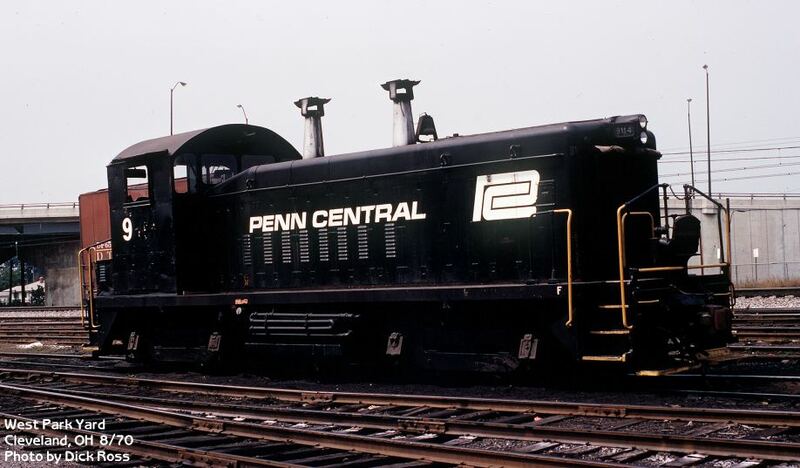 Shop forces painted their locomotive into one of the most colorful PC paint schemes ever created. 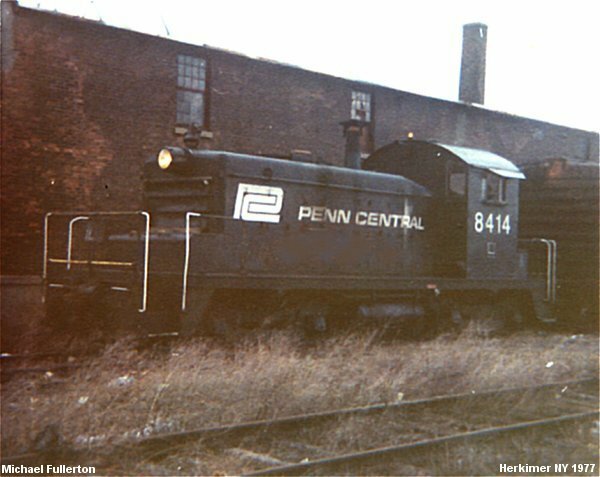 The locomotive is seen at Rochester on April 1, 1970. 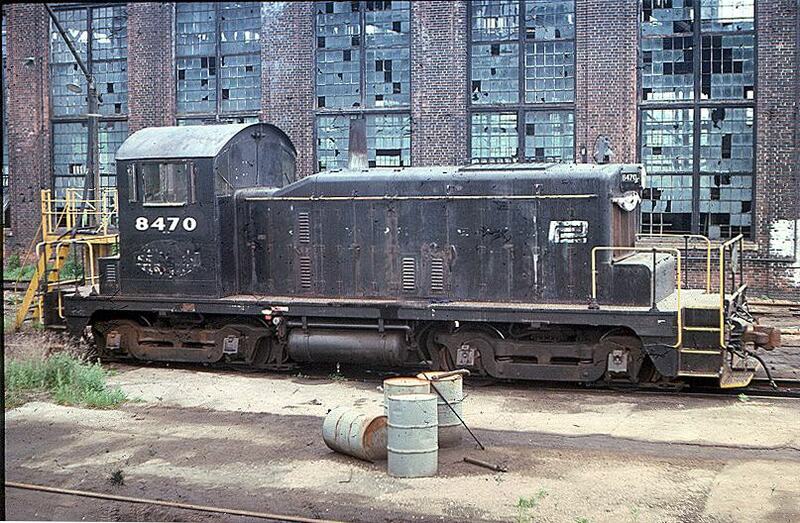 The paint job did not last long, however. 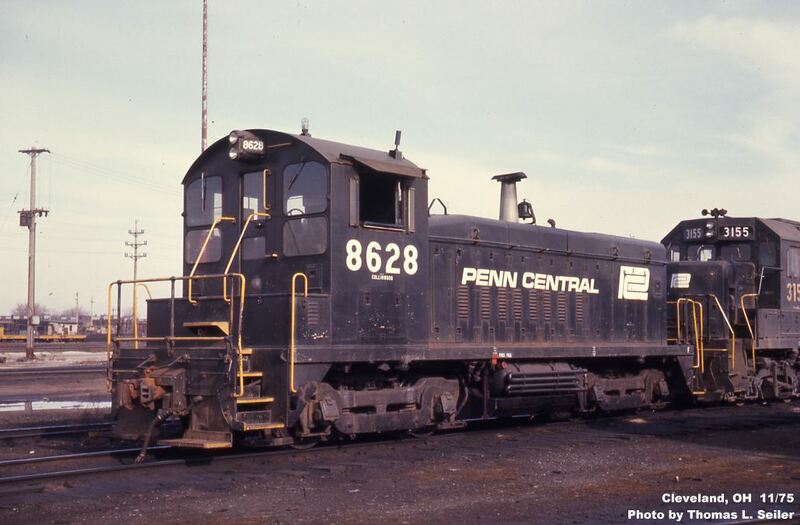 Shortly after this photo was taken, the locomotive was renumbered to PC 8605 (2nd) and was repainted in full PC black. 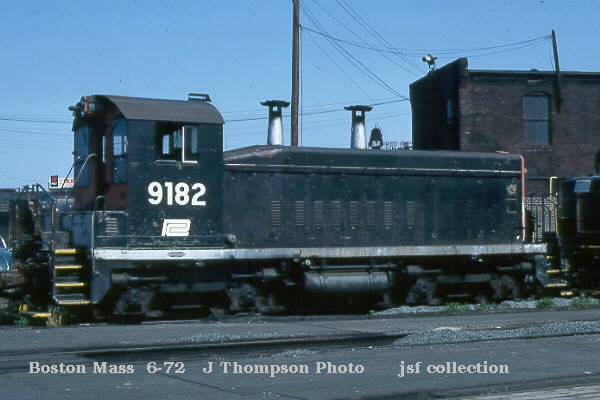 Photo by David Turkon, from the collection of Dale A. DeVene Jr.
EMD's followup to the NW2 was the 1200 horsepower SW7. 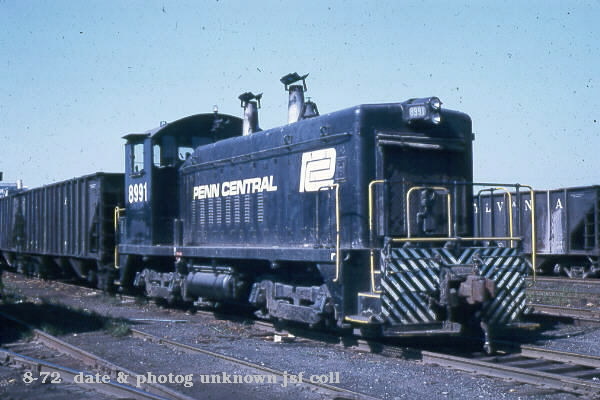 PRR and NYC both owned the SW7, with the Central's units keeping their former numbers, located in the 8836-8910 number range, while the Pennsy's units were renumbered 9076-9098. 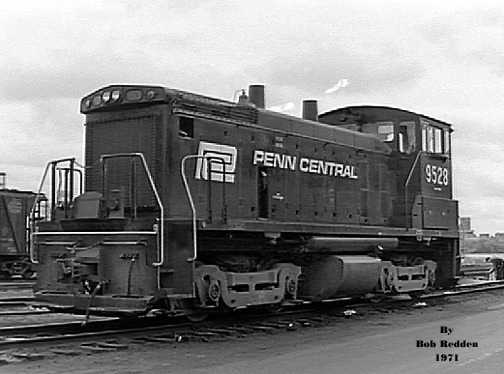 The SW9 was the successor to the SW7 model, and was purchased by both PRR and NYC. 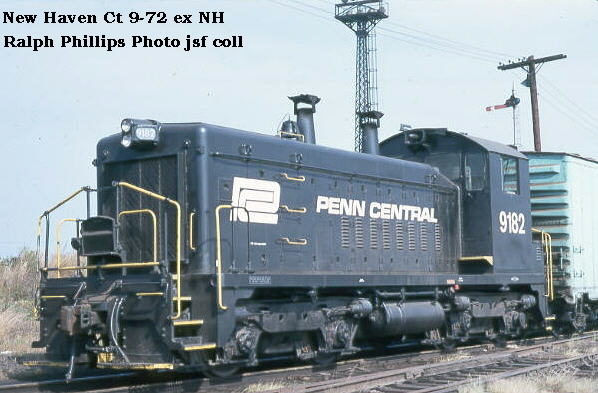 NYC's were numbered 8911-9001 and kept their NYC numbers, while PRRs were numbered in groups throughout the 9000's and 9100's. 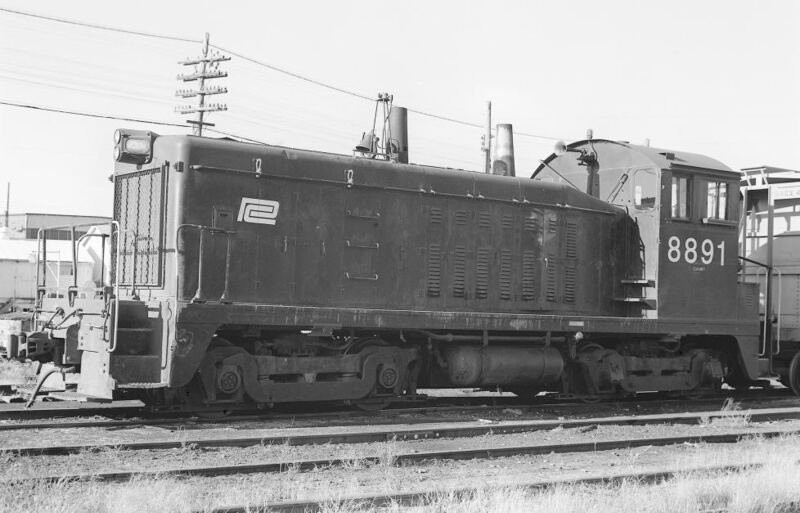 After the SW7, EMD introduced the 1200 horsepower SW1200, which was manufactured from 1954 to 1966. 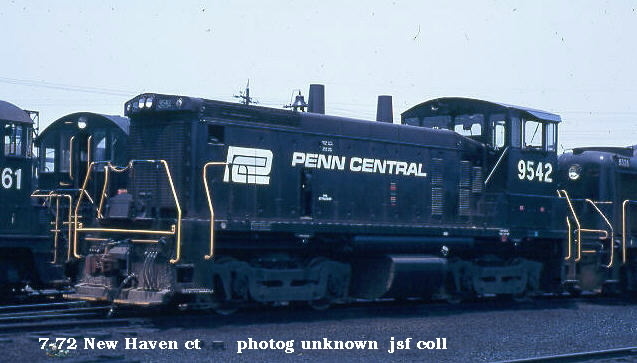 PRR and New Haven both owned SW1200's. 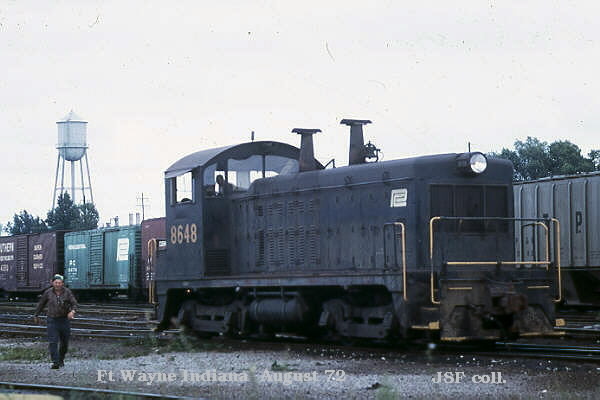 The ex-NH units were unique in that they rode on Flexicoil trucks instead of standard switcher trucks, which allowed these units to operate at road freight speeds. 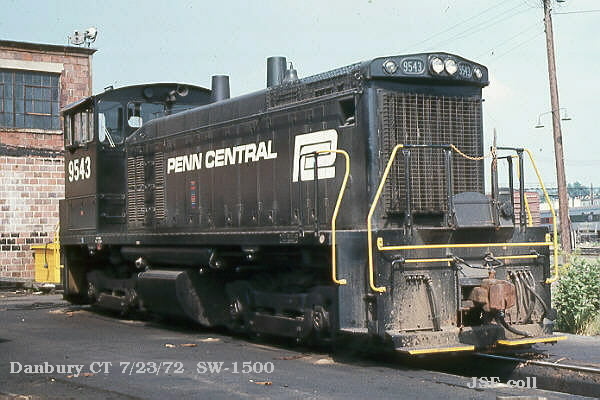 The SW1500 was EMD's 645-engined switcher, introduced in 1968. PC rostered 95 SW1500s. 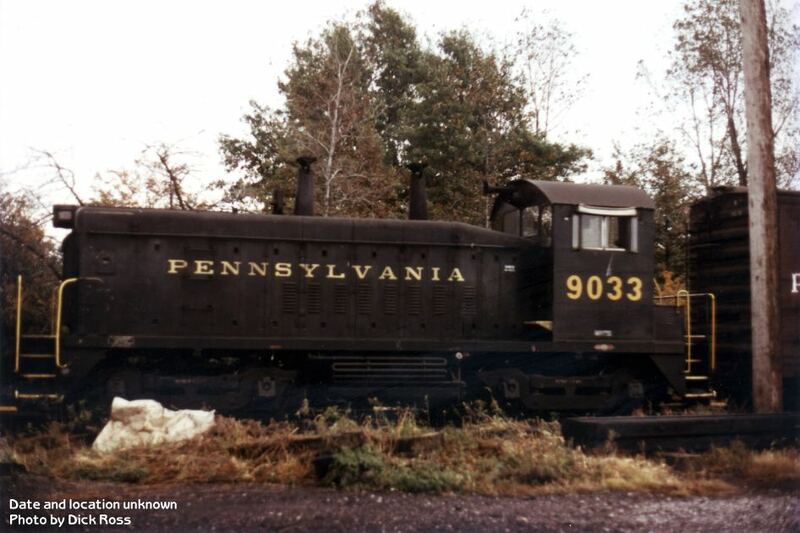 Most were numbered in the 9500 series, but twelve of them were numbered 9216-9227. 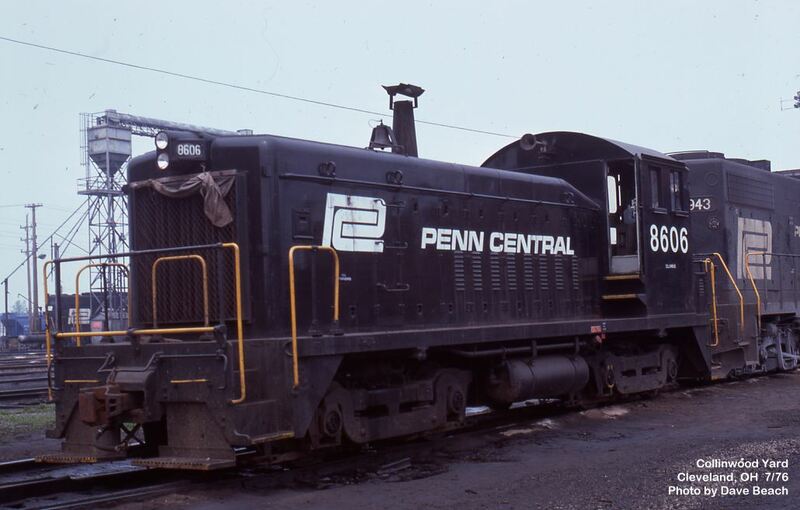 The 9200-series units were originally to be delivered to PC subsidiary Indiana Harbor Belt, but they banks deemed their credit to be unworthy and instead the units were sold to IHB's bankrupt parent, Penn Central.